EDITOR’S NOTE: The following is a story from summer-time, season inappropriate. 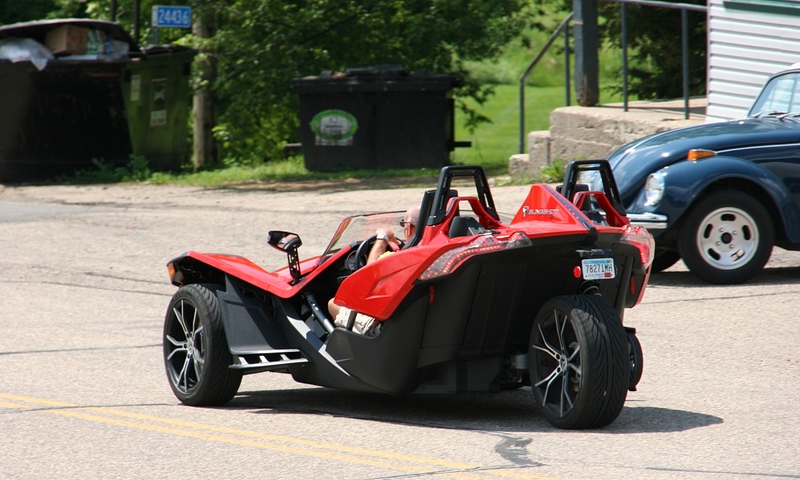 But, in the throes of a Minnesota winter, we need reminders that summer will return. In something like four months. 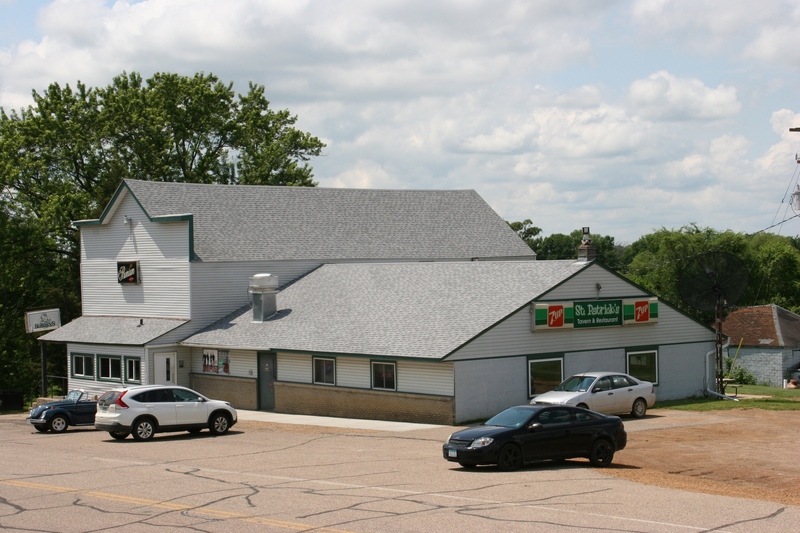 Across the road from the St. Patrick of Cedar Lake Township Catholic Church and cemetery sits St. Patrick’s Tavern. A BAR AND A CHURCH. 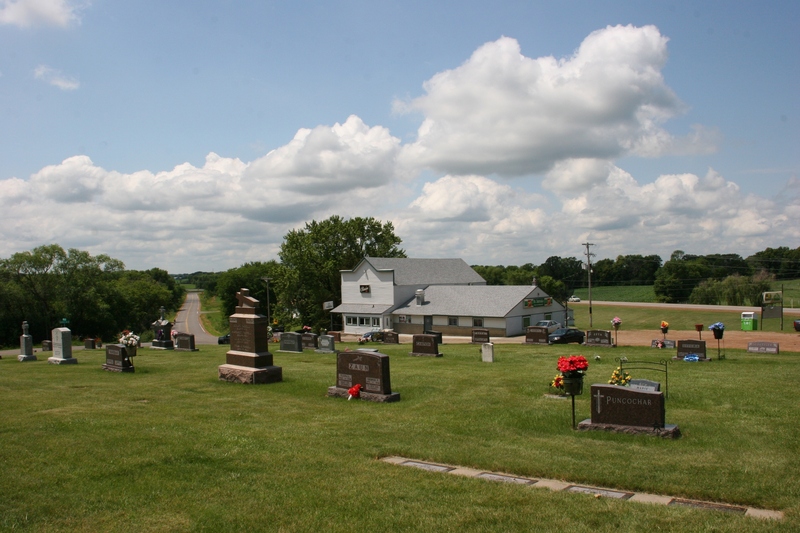 It’s not an uncommon pairing in parts of rural Minnesota, in Catholic faith communities especially. 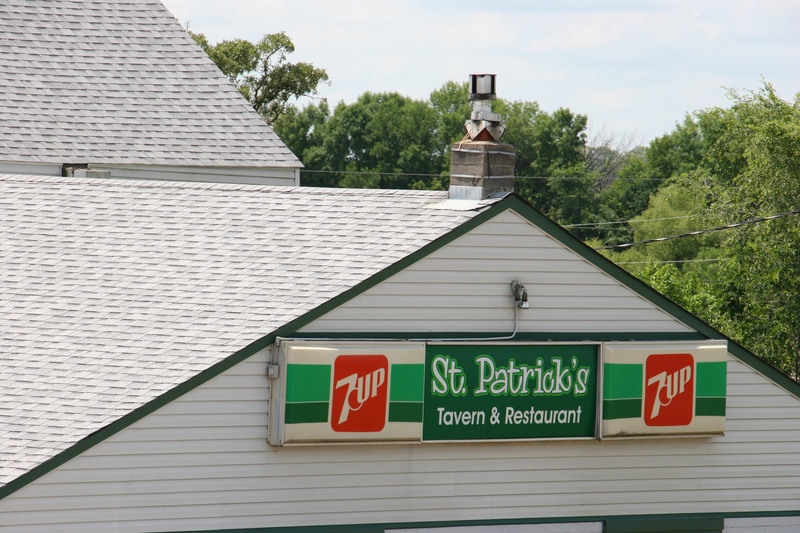 The bar recently changed ownership and became St. Patrick’s Tavern. St. Patrick Catholic Church of Cedar Lake Township. On a Sunday afternoon drive in the summer of 2015, my husband and I happened upon St. Patrick, an unincorporated burg in Scott County. 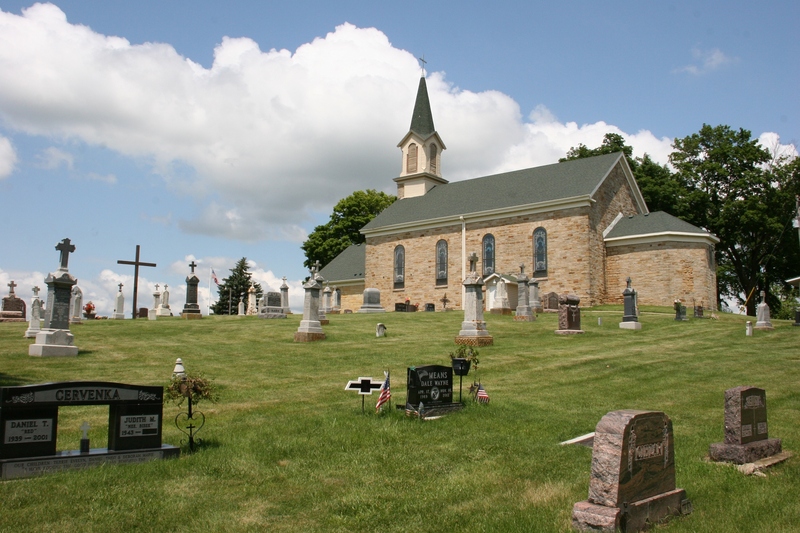 There, upon a hill, sits St. Patrick Catholic Church of Cedar Lake Township. Out the front door and down the hill rests the bar, appropriately named St. Patrick’s Tavern. 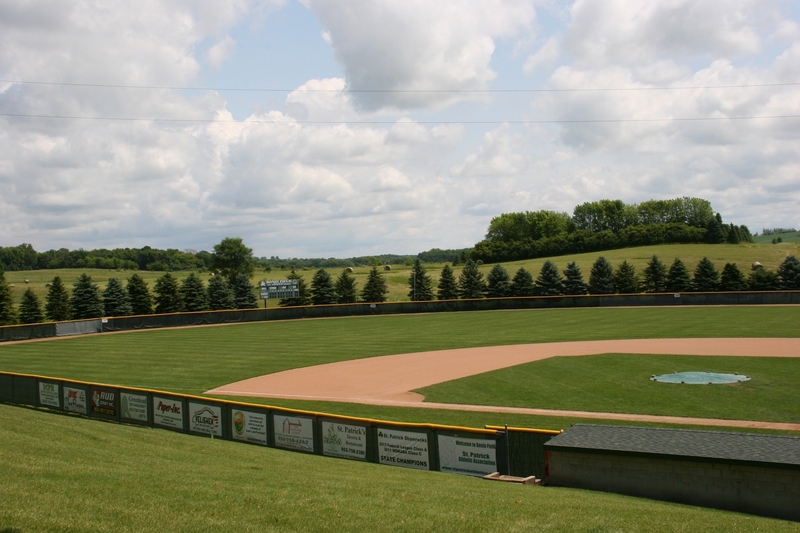 And on the back side of the hill lies the baseball field, St. Patrick’s Bonin Field. It’s named after Father Leon Bonin, a strong supporter of baseball in St. Patrick. Blessings, beer and baseball. How decidedly rural Minnesotan. 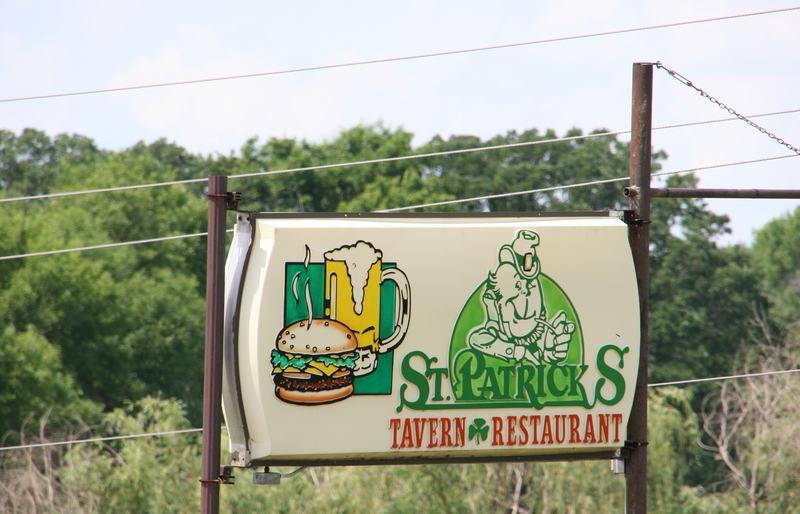 St. Patrick’s Tavern is located at 24436 Old Highway 13 Blvd. in St. Patrick, Minnesota. Cruising past St. Patrick’s Tavern on a Sunday afternoon. More signage on St. Patrick’s Tavern. TELL ME: Do you know of any similar hamlets that offer blessings, beer and baseball. I’d like to hear your stories. A respite from the snow and ice? Looks like a fun little place. Thanks for sharing. We checked out the church grounds and the ball field, but not the bar. Somewhere in my files I have photos of the cemetery. It seems to be a common pairing, at least churches and bars. What a beautiful ball field! Makes one think of hot dogs, cold soft drinks and the crack of a bat. Yup. And that’s where I wanted your mind to wander today. Far from January. Me, too. I’m about to step outside to chip ice from the driveway. I do remember some unincorporated, rural Nebraska towns that literally only had a church and a bar. Lots of those in rural Minnesota once upon a time. Not as much now anymore as a few decades ago.